Enkay Single Stitched or Loose sewn Buffing Wheels have only one row of stitching around the center. 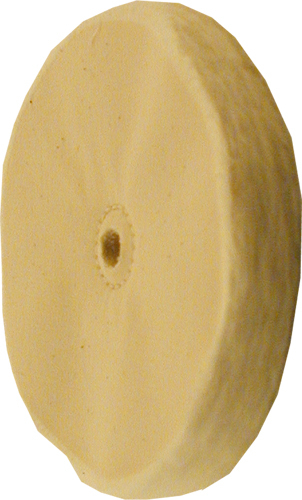 This design makes these buffing wheels extremely soft and flexible. These buffing wheels are used as a final step in the polishing process to bring out the highest possible luster in your project. Unmounted Loose Buffing Wheels should not exceed 3,600 RPM. All Enkay Buffing Wheels must be used with polishing compound.